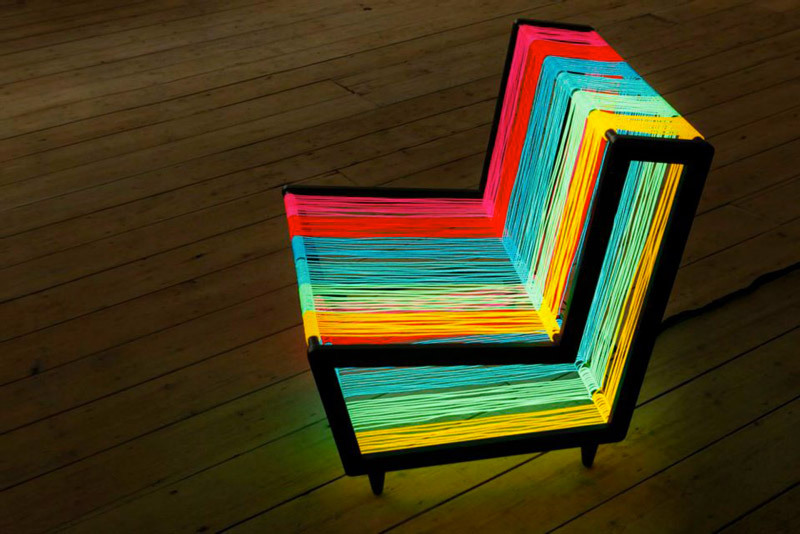 If you want to add color to your interior, you might just like the Disco Chair by Kiwi and Pom. 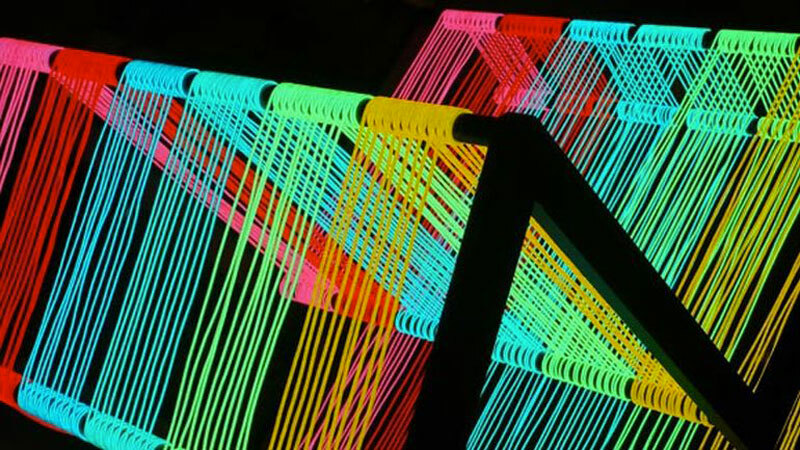 It is consisted of 200 meters of electroluminescent wire and, when powered, it turns into a colorful neon light rainbow that is sure to grab anyone’s attention. 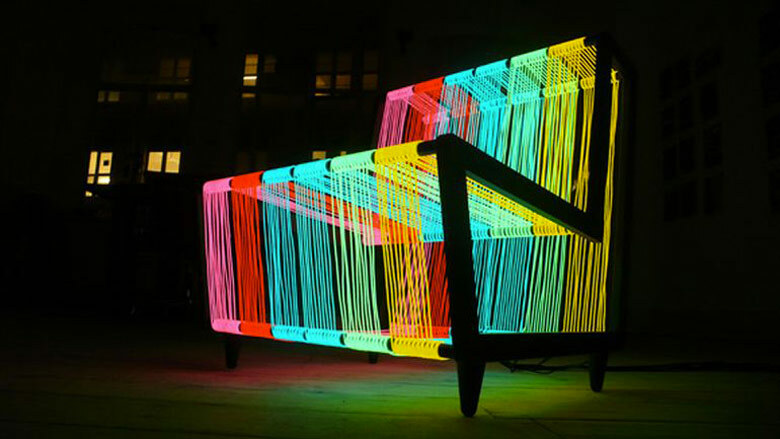 The Disco Chair isn’t just simple bundle of colors, but it flashes and pulses according to setting. 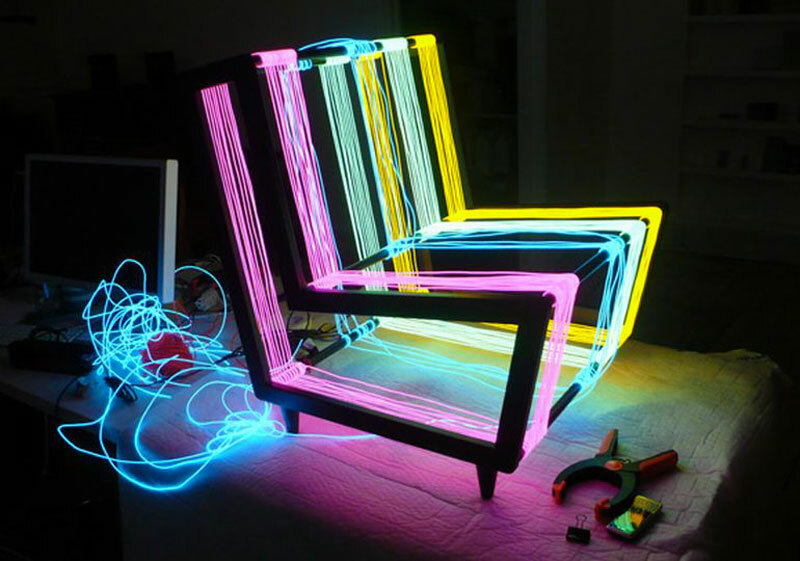 Even though the target market for this chair is definitely not wide and some people might find it a bit too flashy and conspicuous, the general idea is great and it might lead to other products that share the same idea and that are more widely acceptable. What do you think about it, would you like to have something similar in your home?